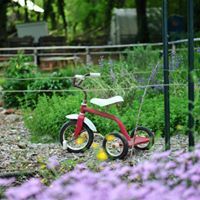 Tricycle Gardens began over a decade ago, when a group of neighbors in Church Hill, looking to address urban blight within their neighborhood, broke ground on Richmond’s first community garden- Jefferson Avenue Community Garden. Urban myth has it that the name was born in that garden when volunteers unearthed old tricycle parts while installing the first raised beds. They went on to create and support four more community gardens in the city and worked with the city’s administration to establish what is now the Richmond Grows Garden program. The purpose of the program is to support community members who come together to grow food and community across the city. 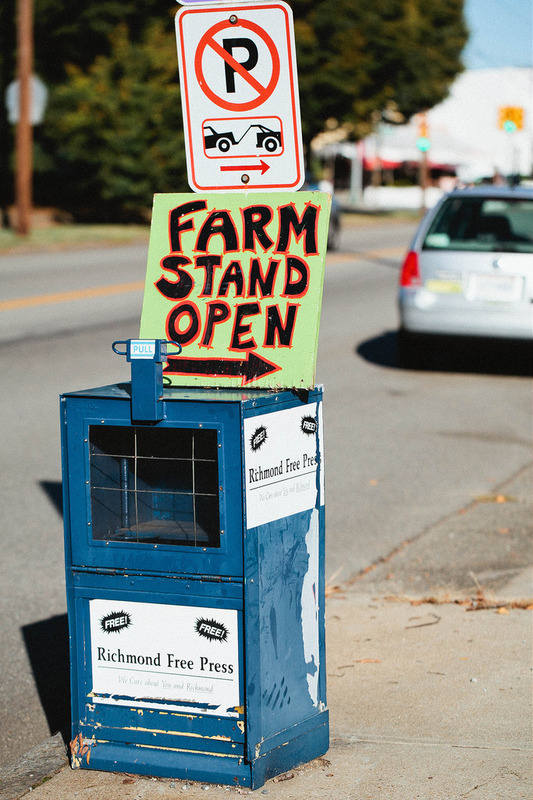 In 2010, Tricycle broke ground on RVA’s Urban Farm and, in 2013, created an innovative partnership with 31st Street Baptist Church to manage an urban farm in Church Hill. These two highly productive, four-season urban farms are local food learning centers located in low-access areas. They showcase and teach methods of sustainable urban agriculture including: soil health through traditional and worm-composting, greenhouse management and seed propagation, crop planning and succession planting, sustainable and integrated pest management practices, and the harvesting, marketing and distribution of produce to market. The produce is then distributed to VCU Massey Cancer Center farm stand, participating Corner Farm stores, a diverse array of local restaurants and grocers, and to 31st Street Baptist Church’s Nutrition Center, which has fed the homeless and hungry for 20 years. Recently, Travel and Leisure magazine, National Geographic, Frommer’s Travel Guide, and Conde Nast Traveler have all recognized Richmond, VA as a top international food destination. Richmond provides a bounty of food offerings, from James Beard award-winning chefs to a diverse assortment of locally-sourced restaurants, and our southern heritage to the ever-expanding craft beer scene. At the state level, agriculture is Virginia’s largest industry by far, with nothing else even coming a close second. The industry has an economic impact of over $52 billion annually and provides nearly 311,000 jobs in the Commonwealth. Every job in agriculture and forestry supports 1.6 million jobs in Virginia’s economy. And yet, behind our largest industry and culinary accolades, Richmond has been rated as the worst food desert in the country for a city of our size, with most locally-grown products exported internationally. With a shift from founding leadership in 2011, Tricycle Gardens took inventory of their assets and asked the community to identify needs, barriers, and ideas regarding food production and accessibility. In the years since, they learned that the need for increased access and availability of fresh, local food by all citizens brings with it many challenges. There is a diverse population demanding better, including those who live in neighborhoods with little to no access to fresh food, and those who desire to feature locally grown food on their menus or on the shelves of their neighborhood stores. Tricycle works daily to address these challenges through innovative programs and collaborative partnerships. 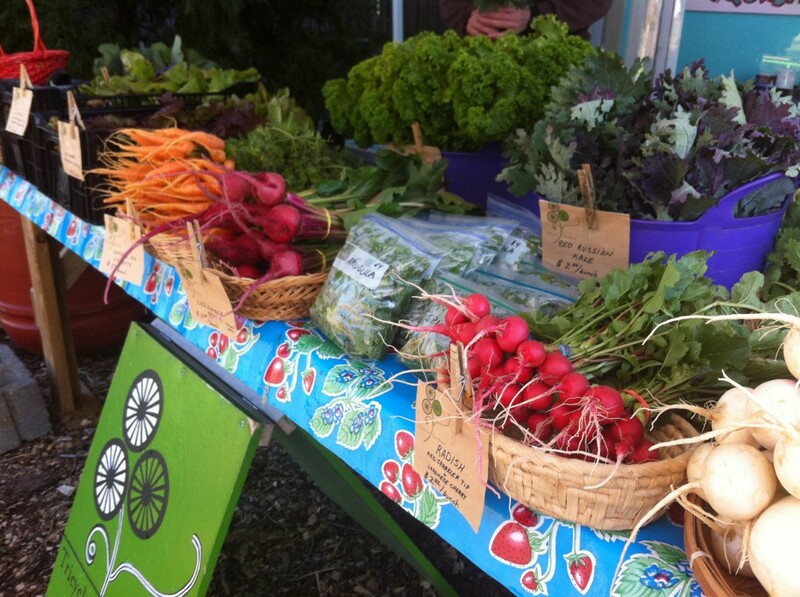 In 2012, Tricycle Gardens collaborated with a group of community partners to launch RVA’s Citywide Healthy Corner Store Initiative, which promotes healthy eating habits by increasing access to healthy, local food for neighborhoods lacking. They enhance that distribution with nutrition education, food skills training, and in-depth cooking classes aimed to support consumers using SNAP benefits. Tricycle has partnerships with 21 corner and convenience stores in the Northside, Southside, and East End food deserts with plans to build on the success of the program and expand next year. In February 2017, the first Tricycle Certificate and Fellowship in Urban Agriculture will begin. This 11-month long immersive program will provide classroom instruction in the business and practice of sustainable, urban agriculture. When paired with the hands-on experience provided in the Fellowship, participants will utilize their newly-developed skills on Tricycle’s urban farm sites and with Tricycle’s mission programs. By providing technical training and experience in the field, participants will be prepared to enter the workforce through jobs supporting Richmond’s food system. 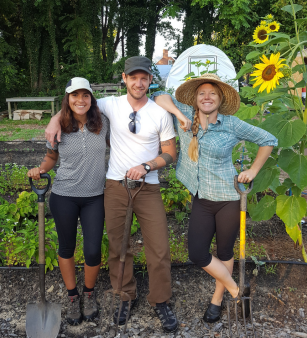 Some of Tricycle’s previous Urban Ag Fellows and interns have established their own farms, created a composting business, or worked to manage other urban farms. Graduates of the new program will enter a Richmond market that is wide open and ready for trained and experienced workers. There are many opportunities to own, manage, or work on farms that grow fresh produce that supply our local market and to sustain the effort to increase food access and equity in partnership with local non-profit organizations. The Certificate and Fellowship are offered in partnership with The USDA and Bon Secours. Scholarships for tuition and fees are being provided by these partners for all 2017 program participants – Tricycle Gardens will be accepting applications through the first week of January. For more information, you can read this information packet and application and contact Beth Nelson with any questions – beth@tricyclegardens.org or 804-231-7767. Are you doing something new, different or interesting at your organization that would be of interest to the ConnectVA Community? Email us at admin@connectva.org and let us know! Hello, do you need volunteers? Hi Judy! Yes, we couldn’t accomplish our work without the many volunteers who come out to support us each week. Email learn@tricyclegardens.org and we’ll get you connected! I have had the pleasure of witnessing only a small bit of what this amazing organization does and can’t begin to say enough good things about them! You’re awesome, keep up the good work! Thank you so much, Deb! We truly appreciate your kind words and support!